1. If God Disappears by David Sanford (5 copies), 2. 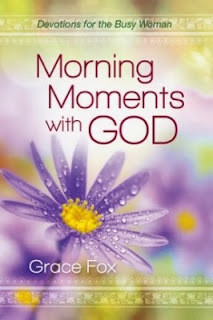 One paper copy of Morning Moments With God: Devotions for the Busy Woman by Grace Fox, and 3. a Christian E-Book romance of your choosing by JoAnn Durgin. See details below. Scroll way, way down to the end of this newsletter. Results of November's poll. You helped me choose the look of my character Kerry Slain for my current work in progress. A few words of encouragement for you. An Answer to Prayer that I had been praying for, for over 37 years. My year in pictures, and what's on for 2018. Remember to scroll all the way down to get the details for the Extra Big Book Giveaway DRAW. SEVEN GREAT BOOKS to win. Driver. It was a close call, but most thought this image fit my character Kerry Slane in my current work in progress, The Curlew Cries, Book 1 of the Slane series. Funny thing is: this is the image I had in mind all along for a women just shy of 30 who is recently abandoned and divorced from her husband. I hope to have this book written by end of May, 2018. At long last, the two birthmom's of Anne's adoptive children surround her with love. A big, unique, combined family dinner party occurred during Christmas week that included two birth families and the nucleus of the adoptive family we gave our babies to. Mary (birthmom of the twin boys), next our precious Anne, adoptive mother to the three adoptees in front row. And far right, me (birthmom to Sarah). Front Row: Those treasured adoptive siblings, Matthew, Sarah, and Luke, that all three of these mothers love. I honestly thought my long overdue answer to prayer would never happen. After all, I'd only been praying since the day I gave baby Sarah up for adoption in 1979. I longed for that special combined party that recognized the uniqueness of adoptive families, that included members of the adoptee's biological family, looking upon those first mothers as some sort of extended family. That happy event occurred this 2017 Christmas, but not until my birthdaughter's twin brothers met their birthmom too, an event that happened earlier this past year. I'm not sure how recent events made it emotionally easier for Sarah's family to get together with we two birthmoms in a big family gathering. You'll understand the complexities of those emotions if you get a chance to read Finding Sarah Finding Me. As for why that happy get-together occurred this year and not shortly after my reunion Sarah, I'm not going to ponder on. I'm simply rejoicing that God answered my prayer. What a fantastic way for 2017 to end for me. I feel so privileged to share this with you, to give you hope, to whisper in your ear, NEVER GIVE UP HOPE. Because not all of us had a happy 2017. I'm thankful mine was a mixture of challenges, losses, and new joys. I grew more from the challenges than the joys. This past year, I enjoyed my grandchildren, and welcomed a second granddaughter into the family. Nothing beats spending time with my children's children, not even winning a few book rewards. But our family also experienced the loss of my husband's mother. True, she was 91, lived a good life, knew the joy of telling others about Jesus Christ, but still, her family miss her presence. One of the things that keeps me going is that, like a child, I stand on the fact that Jesus loves me, this I know because the Bible tells me so. And the Lord is so adamant that we share that love with others. As I look back on the challenges and the joys of 2017, I hope to do better at loving others. Don't miss the Extra Big Book Giveaway all the way down to the bottom of this letter. There will be seven winners. 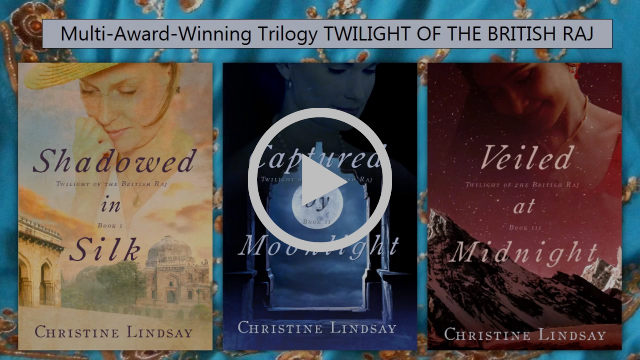 Watch this fun video of my books, and make sure to turn your volume up to hear the pretty music. Some of my new joys and highlites last year. months, and Sammy is my new chief editor. Although, it will be a while before he learns his new job, a job well held by his predecessor, Scottie, who passed away this summer. Another highlight was the American Christian Fiction Writers' Conference in September. I am so thankful to God for allowing me to be one of the recipients of the 10 scholarships given out this year. Also to that special someone who donated funds for me to travel to Texas for the event. Hugs to that dear person. Thankful for the awards Sofi's Bridge & Finding Sarah Finding Me won in 2017. While in Texas in September, I had another great joy. I got to spend some time with some of the contributing authors of Finding Sarah Finding Me. Standing between my dear, dear friend Rachel Phifer, and me, are Rachel's mother and stepdad, Rebecca and Charles Middleton. So looking forward to 2018 as Rachel and I continue to critique each others work. We will finish that book on the writing craft, and God-willing, each a new novel. 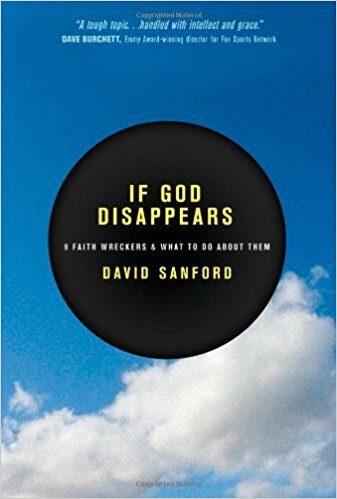 Book 1: If God Disappears by David Sanford, 5 copies to be won. Book 2: Morning Moments With God: Devotions for the Busy Woman by Grace Fox 1 paper copy. Book 3: Another Winner gets to choose from any of JoAnn Durgin's Christian Romance novels, excluding the four-book Lewis Box Set. 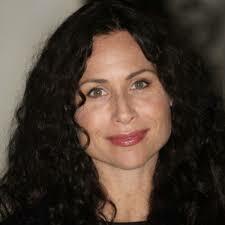 See JoAnn's website. 1 Ebook. See write-up on each of the books and the authors below. Each time you do one of the following your name will be entered into the hat. Go to actual Newsletter HERE and share it on your Facebook, Twitter, or by email. Bonus entry: If one of your friends decides to follow my Facebook Author Page,https://www.facebook.com/ChristineLindsayAuthor/ let me know and I'll enter your name in the draw two more times. LET ME KNOW BY EMAILING ME AT Christine.Lindsay.Writer@gmail.com TO TELL ME HOW YOU HAVE DONE ANY OF THE ABOVE, AND HOW MANY TIMES. Hugs. FIVE Winners will receive a copy of IF GOD DISAPPEARS. Winners choice of Ebook or Hard Cover. faith. Why then do some people emerge from the crisis with their faith intact while others give up on God, the church, and holy living? If God Disappears comes alongside the Christian who is spiritually drifting--or is on the verge--or knows someone who is considering leaving God and the church behind--and compassionately empowers them to re-embrace their faith. Among his many credits,author David Sanford is the conceptual designer and executive editor of Holy Bible: Mosaic. David and his wife, Renée, are also the general editors of Focus on the Family's Handbook on Thriving as an Adoptive Family (already in its 9th printing). Over the years, David has been featured or interviewed and quoted by leading news services, national broadcast networks, numerous websites and blogs, stacks of magazines, and scores of newspapers, including USA Today, the Los Angeles Times, and the Wall Street Journal. Another winner wins ONE paper copy of Morning Moments with God for Busy Women. your spirit as you journey through more than 150 new devotions for women. These gems of godly wisdom focus on God’s faithfulness and reflect on His power, presence, and promises in your life today. You will experience practical encouragement as you savor multifaceted chapters.